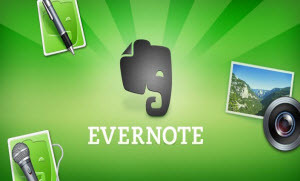 EverNote For Windows is a newly designed note book that stores notes, PDF, photos, web pages and handwritten notes. And to search for a document just use a word contained in it. Free, easy, cross-platform. An application that will lead the way. EverNote is a program that is also a web service, which allows you to capture, store and synchronize documents, notes, and notes in digital format on your PC and on a private online space. EverNote is a new way of organizing that does not rely on your ability to plan, but their potential to the recognition of OCR and indexing. You do not have to sort your notes according to specific criteria, you just have to store it. Everything else leave it to EverNote. EverNote is now available for all users no longer have to wait for an invitation to use it. Immediately registering an online account and install the application. From this moment you will have a PC software that simply writing (also by hand) and drag your notes with the scanner scanned documents or photos, even taken on the fly with the webcam. If you want you can add tags to notes or simply let EverNote fulfill his duty to indexing and synchronization with the web service. This way you can search for any document by inserting into the search engine of EverNote simply a word inside of the note that you want to find. Do not even need that you always have your computer with you, because you would login to your account and carry out research on the web. Wherever you are. EverNote For Windows is free, cross-platform, highly intuitive. It's a bit slow in the indexing of graphical documents, but it pays the expectations quickly finding what you need. And thanks to the plugin for Firefox can filing included songs of web pages with a single click. Simple and effective.